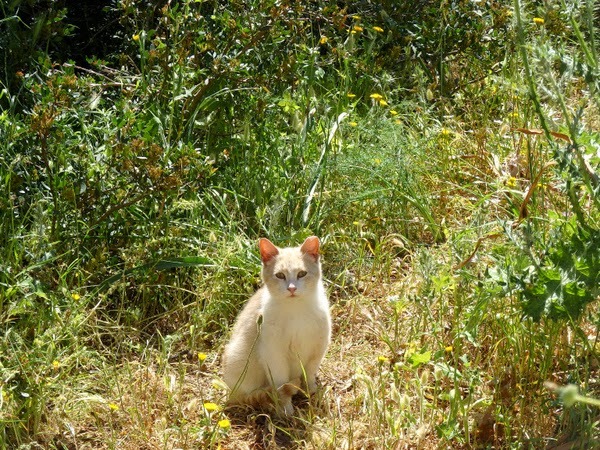 These cats live 509 meters above sea level, in Felanitx, in the southeast of Mallorca. 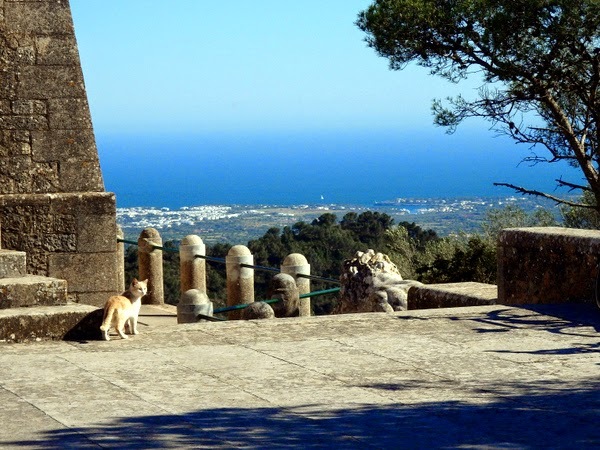 Their home is in every tourist guide, and they enjoy fantastic views of the sea and the inland. Yet they have their own little world here. Thousands of people go to Felanitx every day - cyclists, hikers, and tourists arriving in cars or buses. 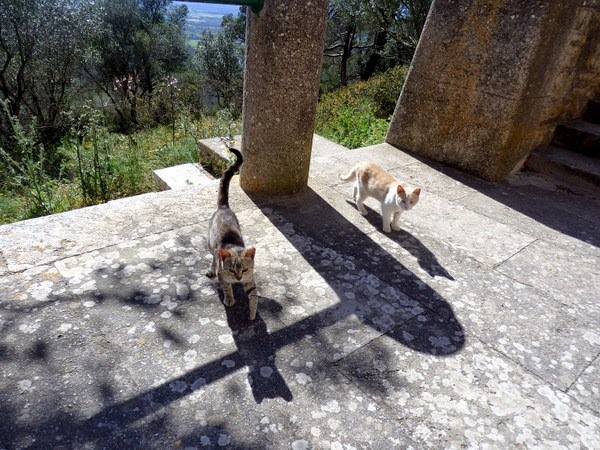 They photograph the Santuari de Sant Salvador and the views. They come, they go, and they come back. 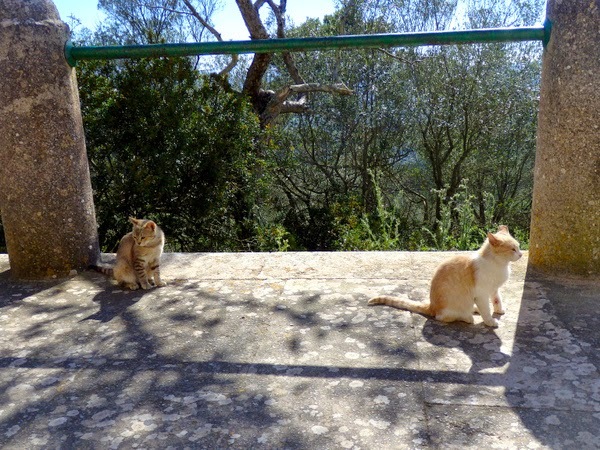 It was late in the afternoon when I met the cats of the Santuari de Sant Salvador. The buses were gone and it was too windy for cyclists to stay. I didn't see the cats at first, because they hid in the meadows and bushes below the observation deck at the Christ King monument. This was their turf. After a while, they came out to soak up the sunshine and to warm their bodies on the stones. They were probably stray cats. Since they looked healthy and happy, I am assuming they are being fed in the nearby restaurant. 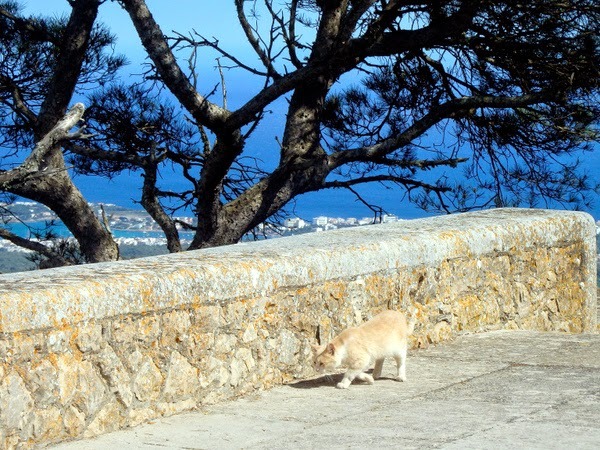 Previous posts from Claudia Mannes: Cats from Arure, La Gomera and Cats from Deià, Mallorca. 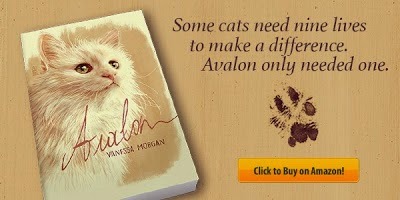 Pre-order my new book Avalon: a Heartwarming True Cat Story. Wonderful photos and a great story. 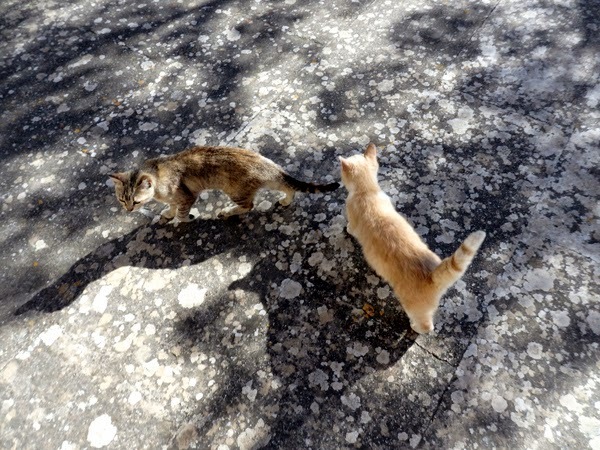 If those cats are strays, they are indeed very well fed ones. That's sure a bunch of sweet faces! 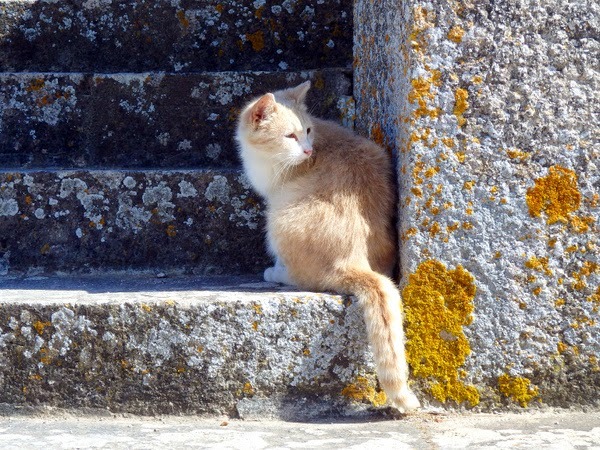 Beautiful cats from a beautiful island! Such cute kitties! And what a gorgeous view they get from there. Those are some gorgeous little kitties. Good luck with the book. I hope it does well. They look well-loved! 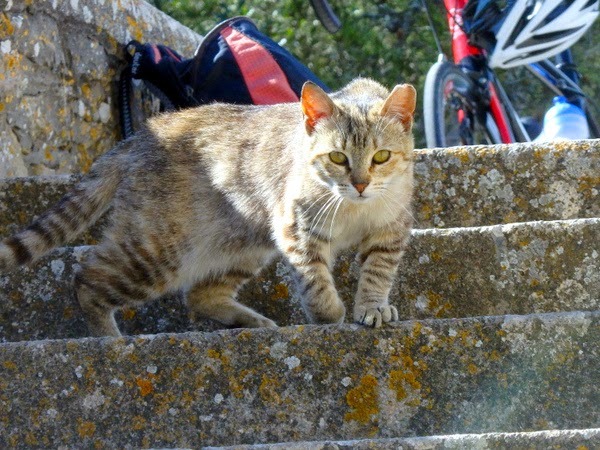 What is it about cats in any part of the world that reach into your heart? Beautiful photos! Oh, the stories a cat could tell. Awesome! P.s..Thank you for the sweet note too! Beautiful images! And the second one is splendid! anda veree happee thurzday two everee one ther frum all oh uz in de land oh trout....it doez look like everee one iz happee & healthee .....♥♥♥ awesum fotoz shoot !!! 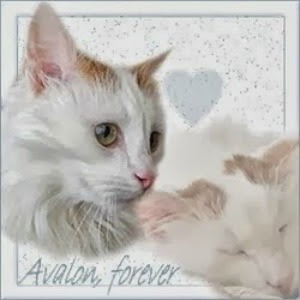 I agree with Austin,, cats are beautiful everywhere. 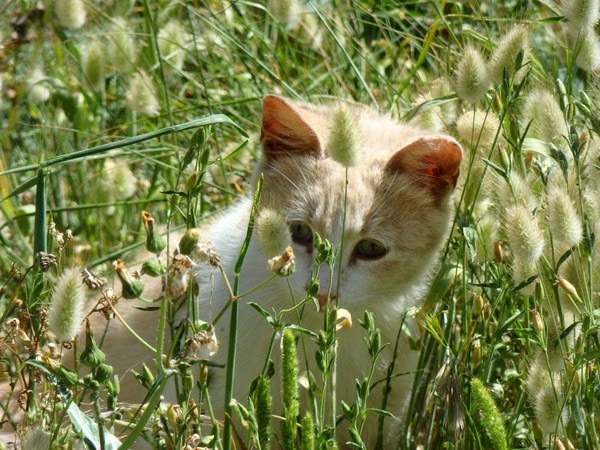 Thanks you for sharing on Friday Features this week, we love the kitties! 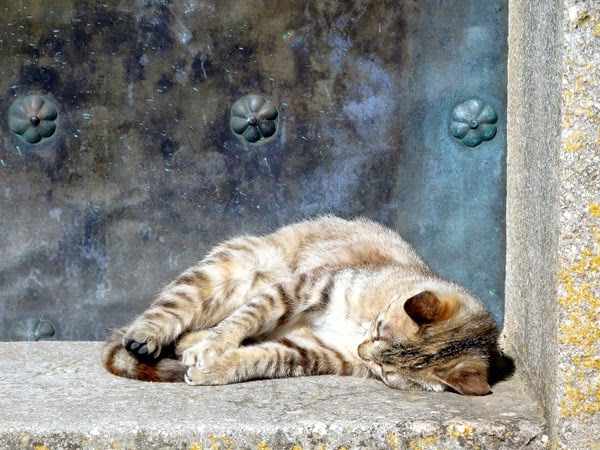 As long as somebody is taking care of their needs, that is fine but I hate to see too many stray cats as that means suffering! Oh. Your posts and pictures always make me want to travel. Especially now, when summer vacation is coming. I don't know yet if I can travel this year, because my cats are sick. I don't want to leave them to any cat sitter until they're healthy. 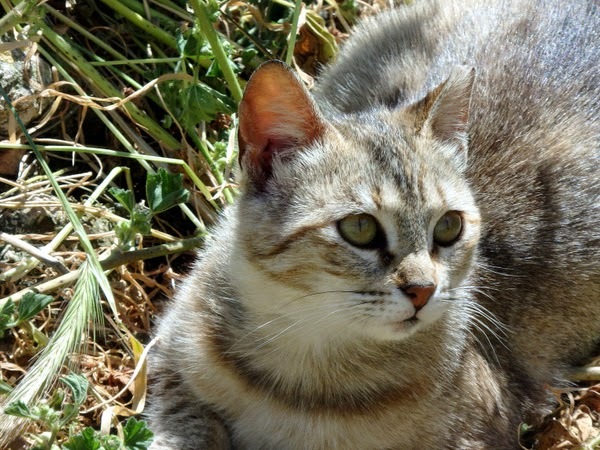 Beautiful cats and they look quite well for strays. Great photos in a really beautiful location! They look like happy strays. If you're going to be a stray animal, that's the place to be one! The sunlight on their fur is unbelievable rich. I just want to reach into my computer and pet them. great shots! We're wagging on by from the Pet Parade today! Ils semblent effectivement en bonne santé et pas stressés du tout ces chats. 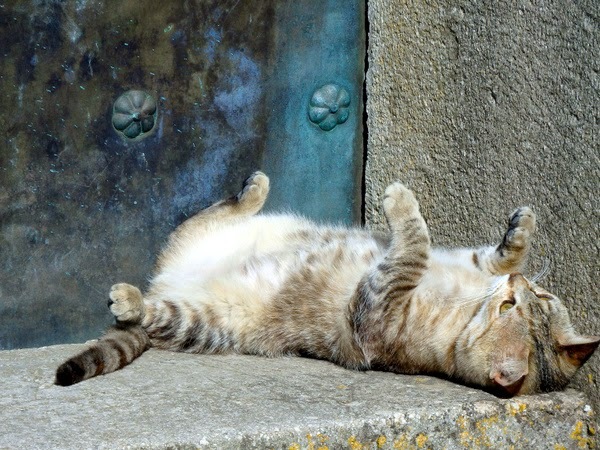 Once again your cute kitties makes me smile, they are so, so cute. Oh wow, the kitties do have a beautiful view! They are all adorable kitties. Thank you for linking up and sharing your post. Have a happy weekend! 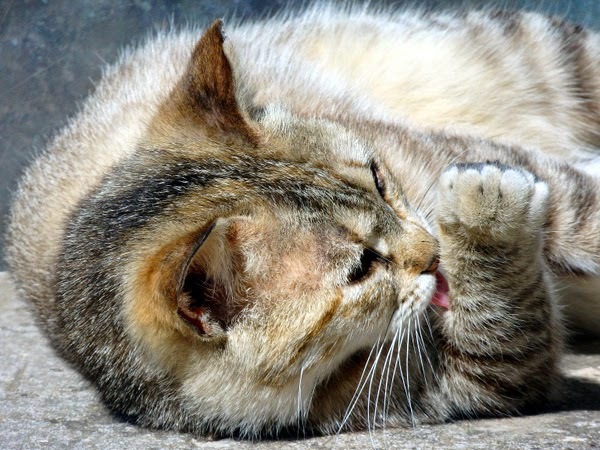 Being a cat lover I really enjoyed seeing all these fascinating cat pictures. They are adorable, aren't they?! They do look well fed and so happy to be outside. Beautiful cats! They look in a very good shape for street ones. 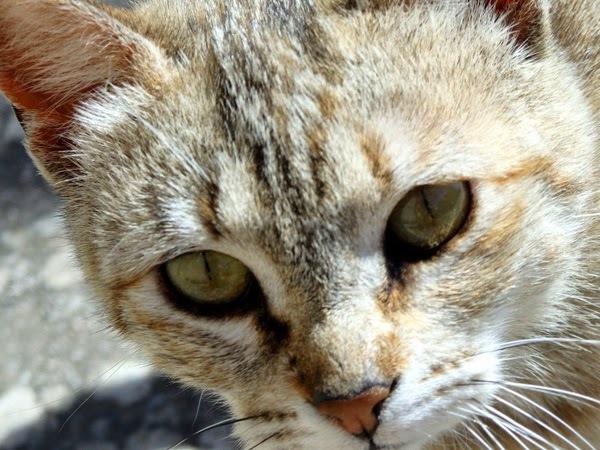 Les chats sont magnifiques et les photos aussi mais je ne comprends pas l'anglais donc pas les explications ;c'est ballot !! They all look so sweet. They're beautiful cats, they have lovely markings. 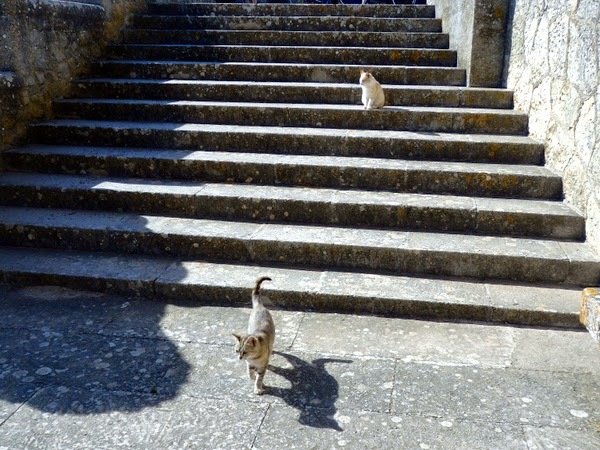 What a beautiful place for these gorgeous kitties. They look so happy. Who can blame them?